If you’ll remember, I redid my son’s tween bedroom last year. I loved it, and Better Homes and Gardens was all, “We love it too!” However, my dirty little secret is that I never quite finished it. His dresser was left in its golden-honey state, and we just pretended it wasn’t there. I knew exactly what I wanted to do to it, but I never wanted to actually do it. Make sense? So here’s a little before for ya. 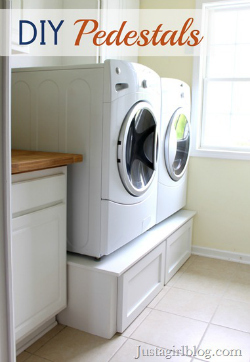 I partnered up with 3MDIY.com as one of their experts to show how I did this project. 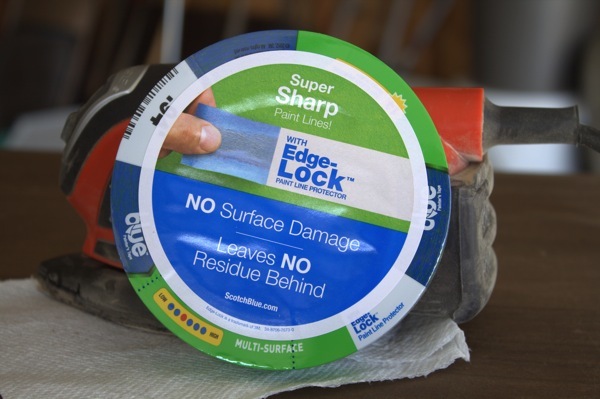 I’m a big proponent of “safety first”, so using their gear is something that comes natural to me. 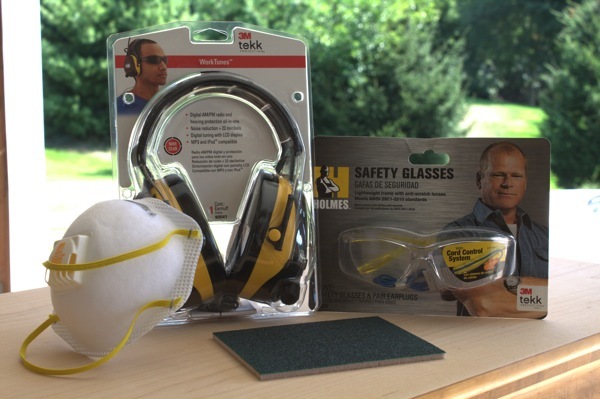 Fumes, dust particles, and noise can really take its toll if you’re not protected. 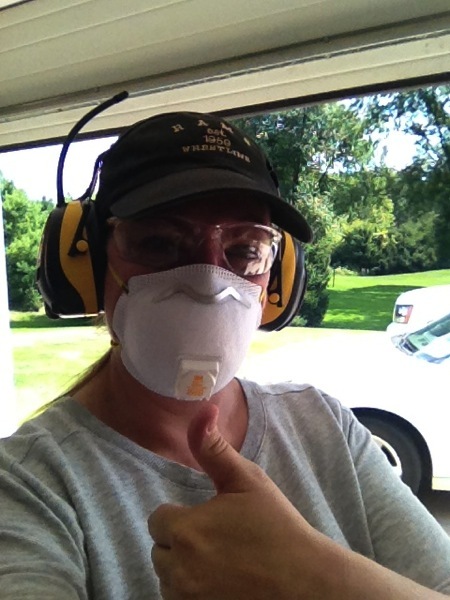 I think sanding is one of the messiest DIY jobs, so I went in fully prepared! Two things you might notice about this picture. 1. Apparently, my thumb is double-jointed. I did not know this, but it was quickly pointed out to me by my friend Cassie. 2. I’m smiling. Behind a mask. 3M Advanced Abrasives Sanding sheets starting out with 80 for stripping down to 220 for smoothing. Step 2: Age the wood. I did some research online and found a little science experiment turned finishing method. I boiled some tea (three cups, but it was over-kill). When it cooled, I just brushed it on the wood. It won’t do anything to the wood. Once it dries, you won’t even notice you did anything. The night before, I had torn up some of the wool pads and poured the vinegar in a bucket with them. The next day, the mixture looks disgusting, but it works. After applying the tea, I brushed on the vinegar/wool pad mixture. It will start to change the wood right in front of your eyes. It will immediately start turning gray! The only problem with this is that it was just too gray. I wanted some brown tones to it to match the pallet wall I had done in my son’s room. I used some Rustoleum American Walnut stain, and it was exactly the look I was going for. I didn’t let it soak on at all. I brushed it on and wiped it off immediately so the gray tones would seep through just a bit. And now for the easy part! Whew! Never thought I’d love painting so much! 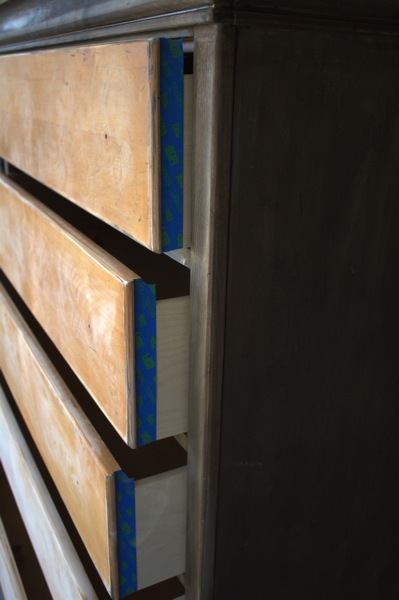 Using some ScotchBlue™ Painter’s Tape, I taped off the drawer fronts. 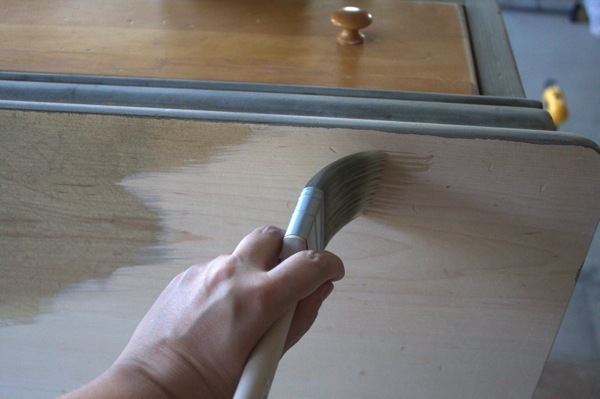 I had some leftover paint from my son’s headboard, so I used it on the drawer fronts to match. It’s Benjamin Moore’s Black Beauty. I love it because it has a bit of a chalky look to it. 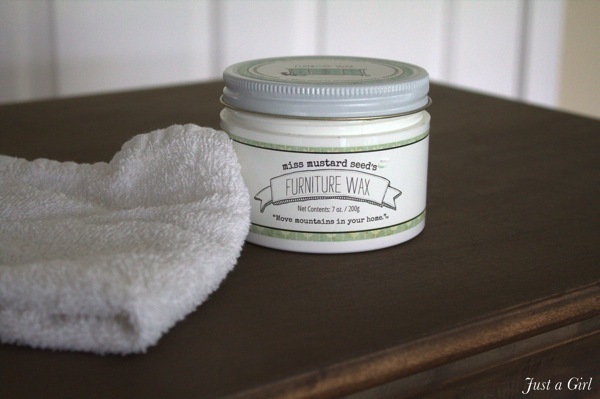 When the paint was applied, I used Miss Mustard Seed’s furniture wax. It’s my absolute favorite ’cause it gives it a gorgeous muted sheen, and it smells wonderful. I found the knobs at Hobby Lobby, and they were the entire reason I stained the outside and painted the drawers instead of vice versa. It was much more pain-staking, but MUCH more worth it. This is truly gorgeous. I love the stain you achieved and the Black Beauty. Is that flat paint? It gives off a beautiful effect and reminds me of my current favorite tinted black, Napoleon. Gorgeous! 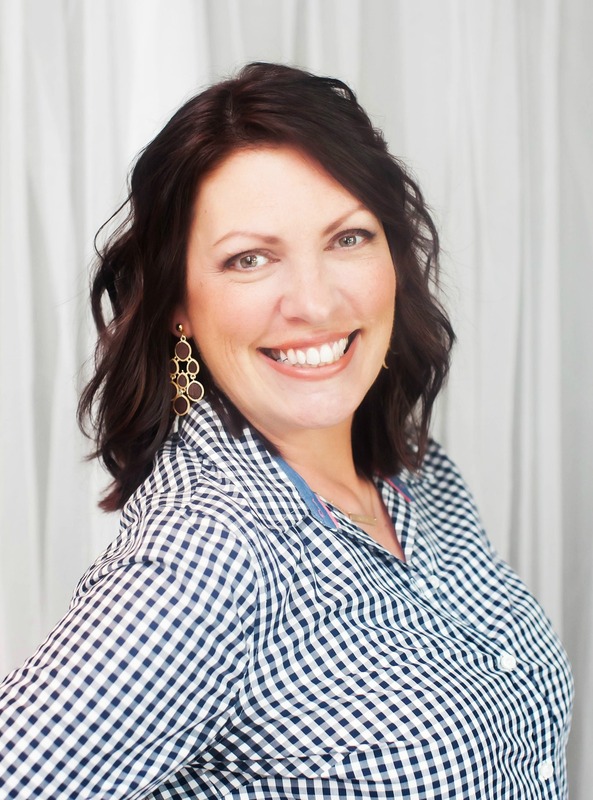 I love the wood stain you applied – I bet it’ll match that pallet wall perfectly! Gasp. You rock. I never would have thought of doing it that way. It looks awesome. 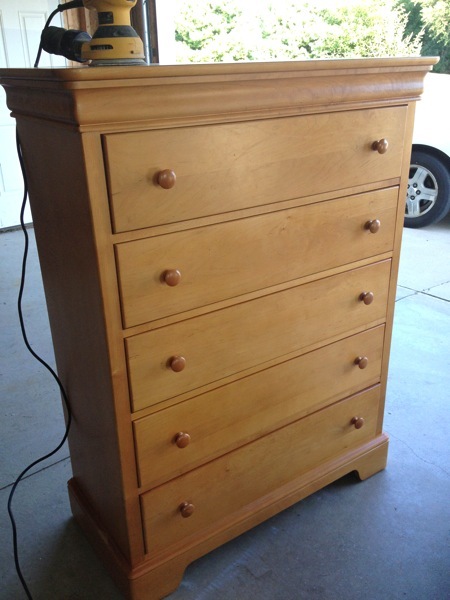 It’s hard to believe it’s the same dresser. The hardwork paid off. And the IG thread that is spurred was pretty epic as well. Oh my goodness Chris – I love this so much! It is so classic and cool all at the same time. What a gorgeous look! 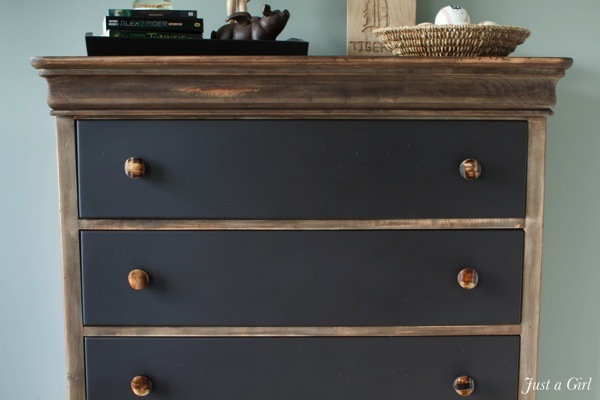 I would never guess it was the same dresser (or that I could transform it into something so industrial chic!) Great job! I had to come back and stare at it again. And I have a golden honey dresser that is begging for this treatment. And guess where it is…in my son’s room. I love the look. So, the tea treatment is a necessary step? Thanks! It turned out AMAZING!!! Totally worth all the time you put into it. Stunning! The dresser looks fantastic. 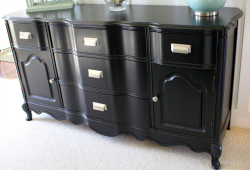 I love the contrast between the drawers and the body. You must be so happy. I LOVE this! 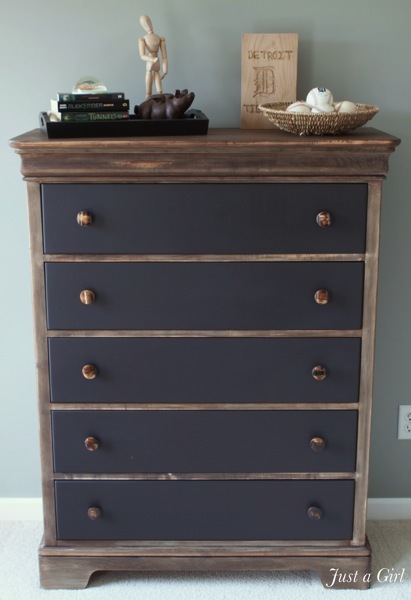 After I saw yours, I immediately thought it would be fun to do the same with my 4 year old’s dresser, but use chalk paint on the drawers. And then I came to my senses and realized what a terrible idea it is to allow a 4 year old to put chalk all over something that is supposed to contain clean clothes! Love it like crazy! 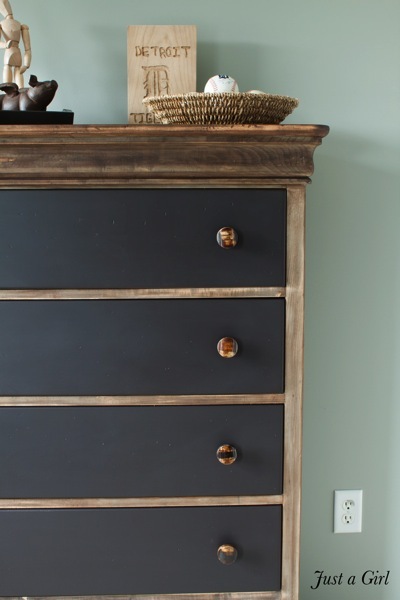 That two tone effect is amazing, and I am totally crushing on the pretty wood tone paired with the chalky colored paint. Way to go girl! I can’t even handle how good this. Bravo! What an AMAZING transformation!!! I am just loving the grey effect the will and vinegar made into the wood! 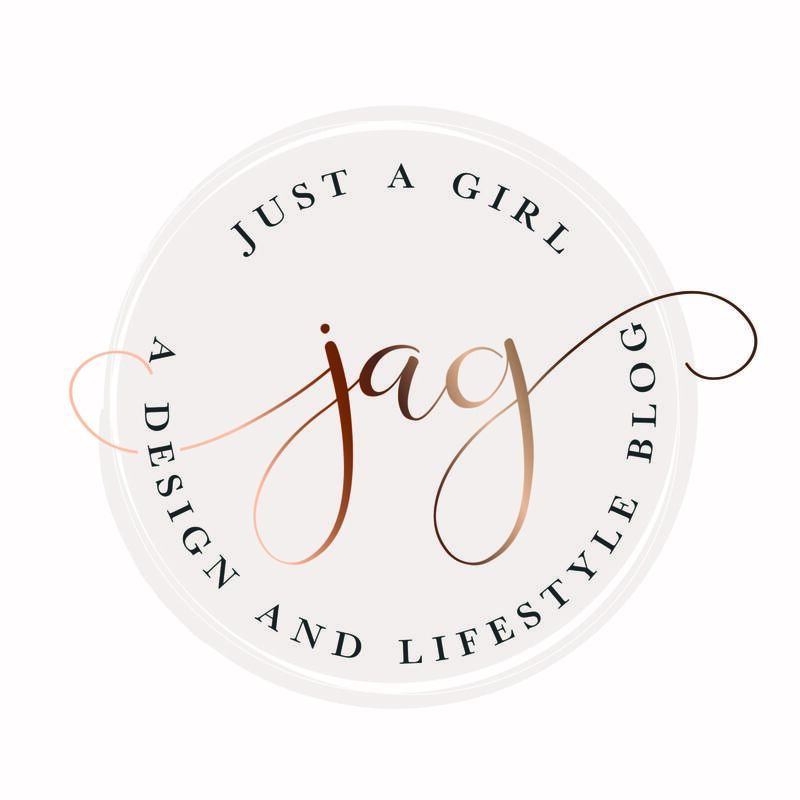 Just discovered your blog through Instagram!!! Love all your projects!!! Totally worth all the work! What a great combo and I love those knobs! Thank you, friend! The knobs are my favorite too. Can’t disappoint the English teacher. Found you via the Haven FB page. Love this! That black paint is fantastic with the stain. Oh wow, Chris, what a difference! I love the two toned look. You did a great job! This came out fantastic! I love the two tone! This looks like something you would see in a high end magazine, you did a beautiful job! Thank you so much, Dria! What a compliment! I can’t wait to try this! A couple of quick questions — How many steel wool pads did you use? And how much vinegar? Kate, I used way too many! I tore up a couple of pads and poured enough vinegar to cover them. I had a ton of solution left over. I would bet one pad and enough vinegar to soak it? Thank you for your kind words and good luck! I don’t think people understand the purpose of tea. It’s not like fabric, where it colors. 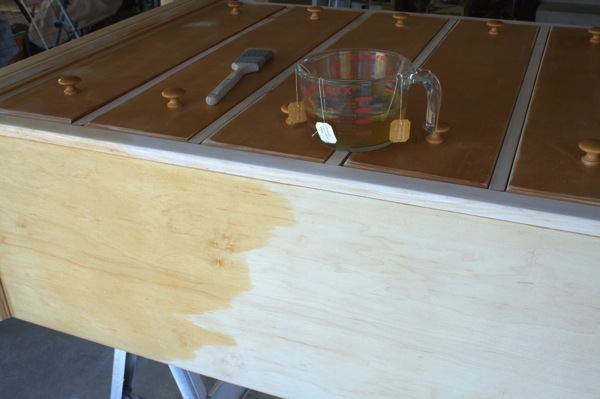 Tea adds tannins to the wood, to which vinegar or baking soda/water reacts. 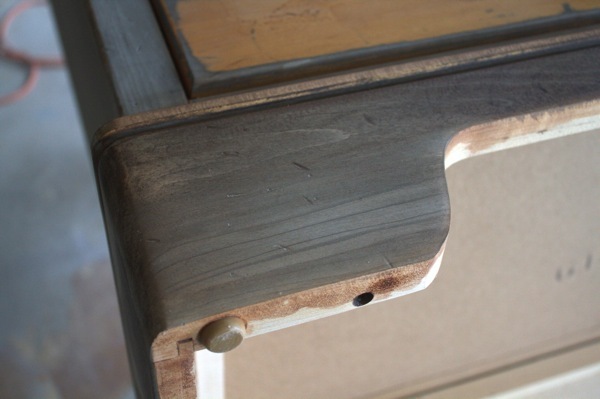 It creates the gray tones so desired in the finish! Pine and cedar are highly tannic woods, so they don’t need it. Maple, mahogany, oak, etc., are not. I’ve given up the extra steps with all this hoo-ha. 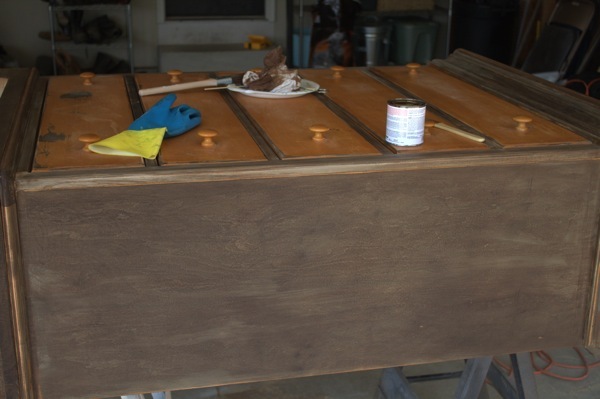 🙂 I use Rustoleum’s Sunbleached with the same dark walnut you used on top. 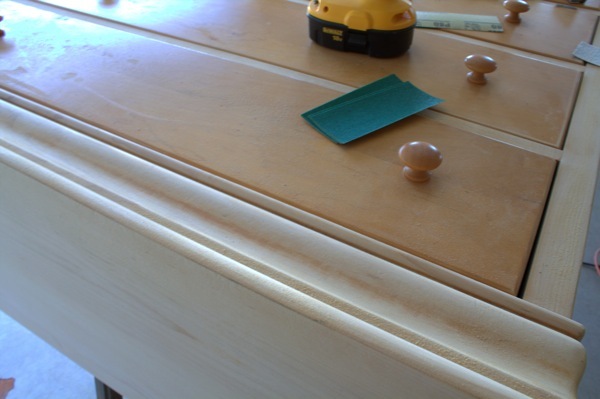 It makes the most gorgeous color, very similar to what you’ve done here on this gorgeous dresser. WOW, WOW, WOW! Don’t know how I missed this post. I’m a bit behind in everything these days. 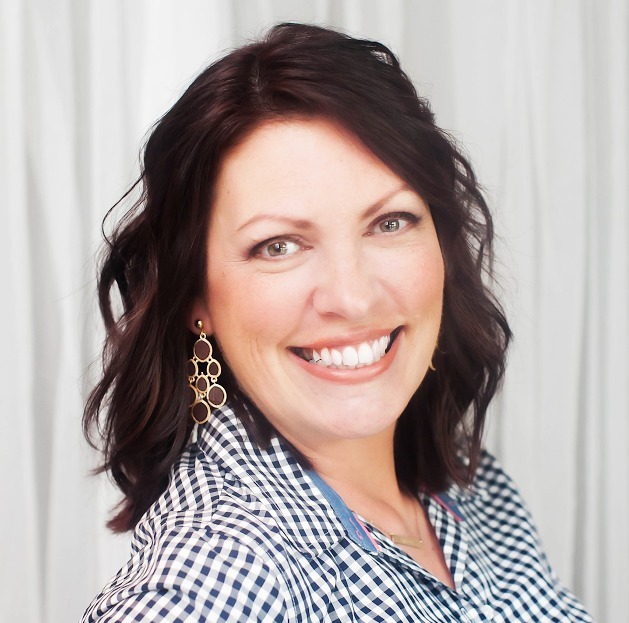 Anyhow, glad I caught it over at Perfectly Imperfect. Shoot, dog, this is awesome! I love that stain effect, tucking that in my brain for later…but I’m totally the “I want this look, but don’t feel like doing gal” 🙂 Have a great weekend! My thumbs turn backwards too. And my fingers. 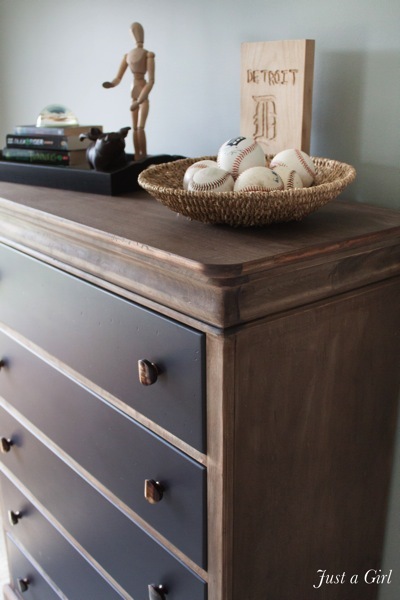 Love the way this dresser turned out.